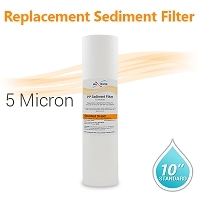 Size 9 7/8" x 2.5" - Fits most standard 10" size housings and most reverse osmosis systems. 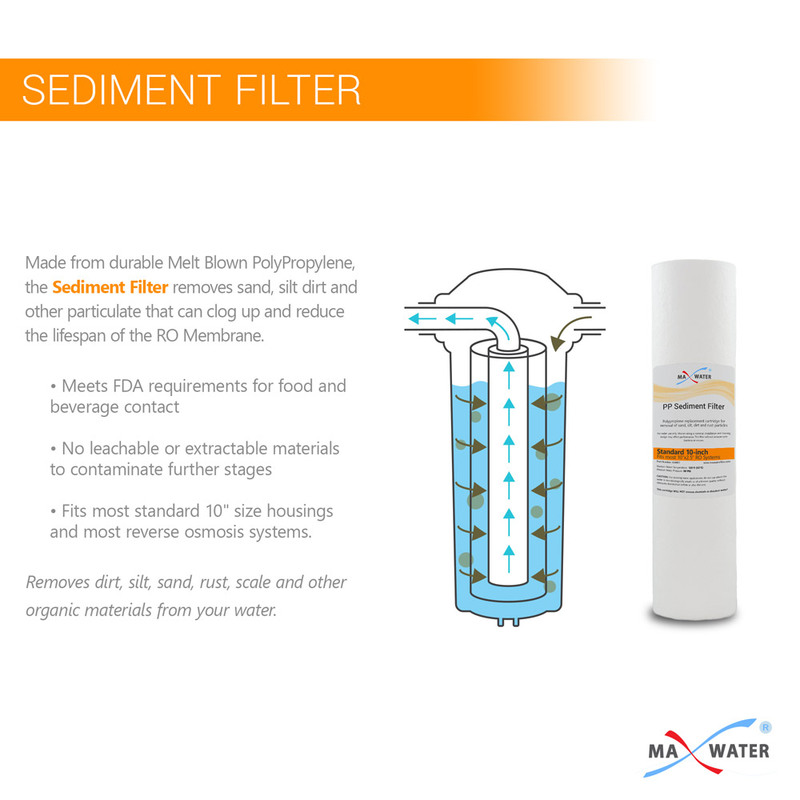 No leachable or extractable material to contaminate outflowing water. 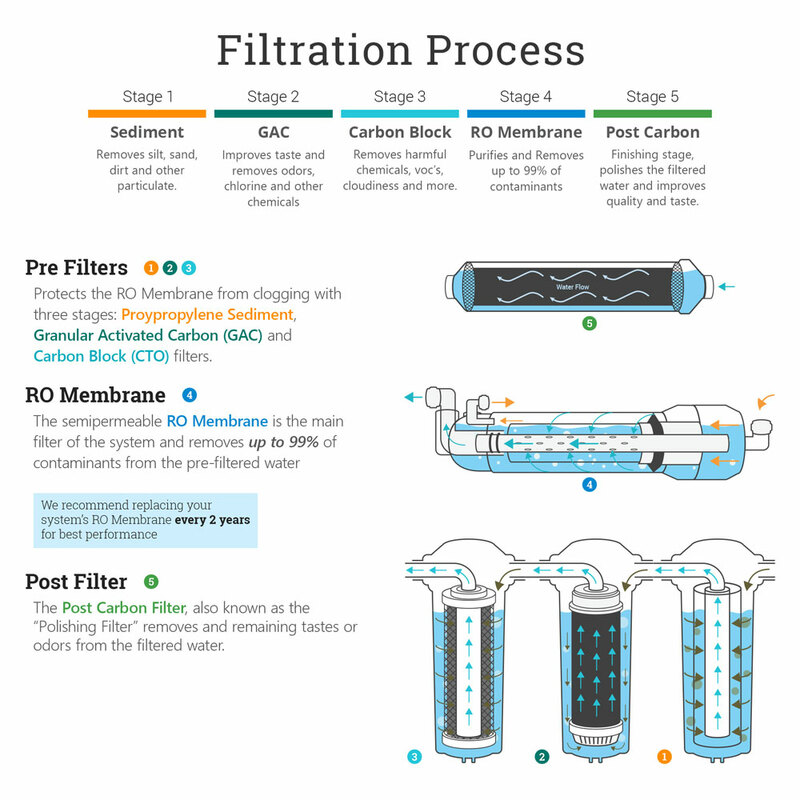 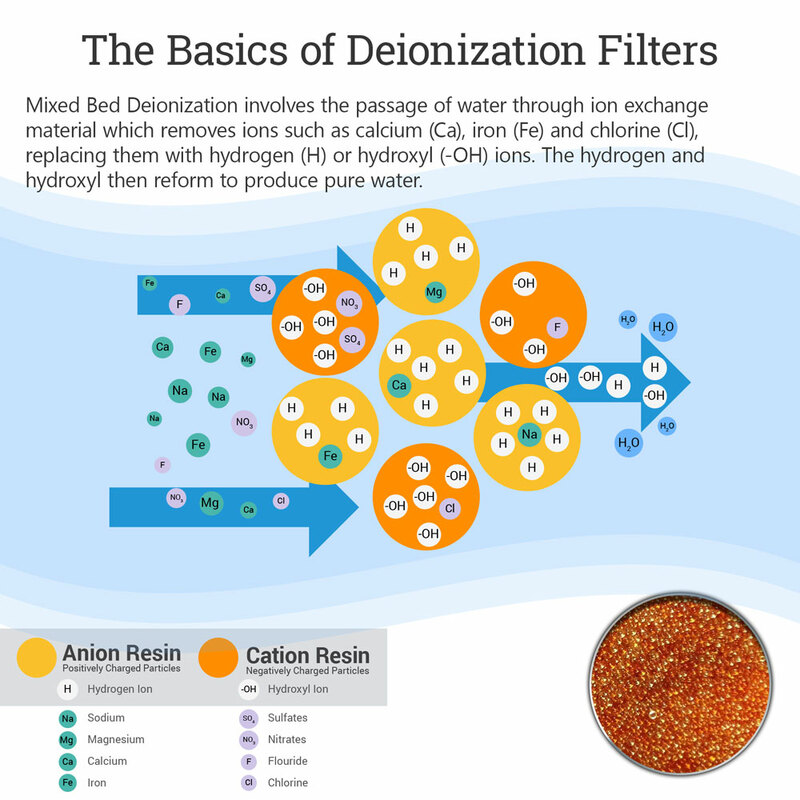 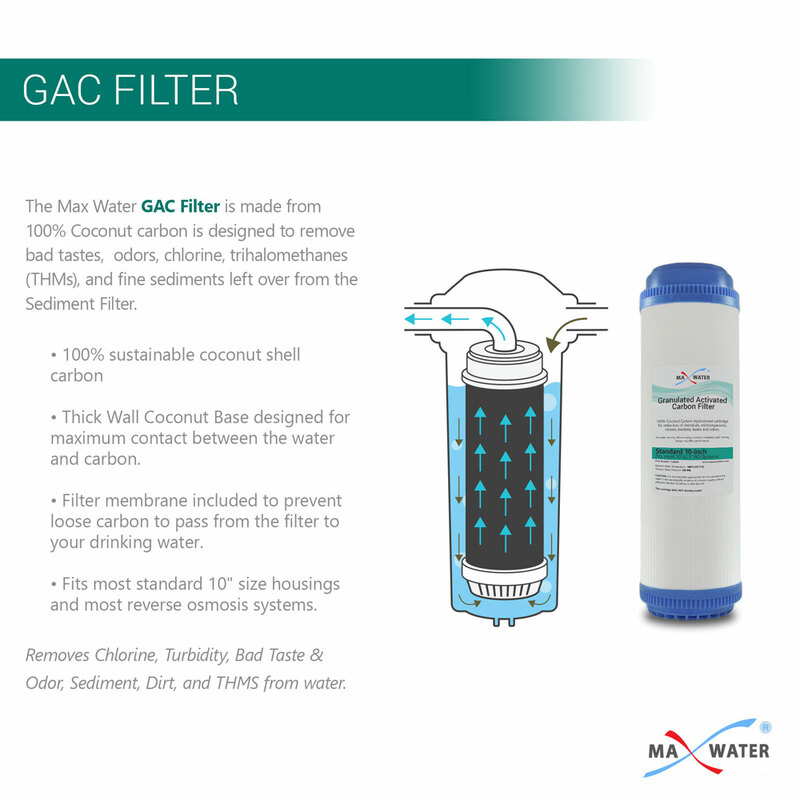 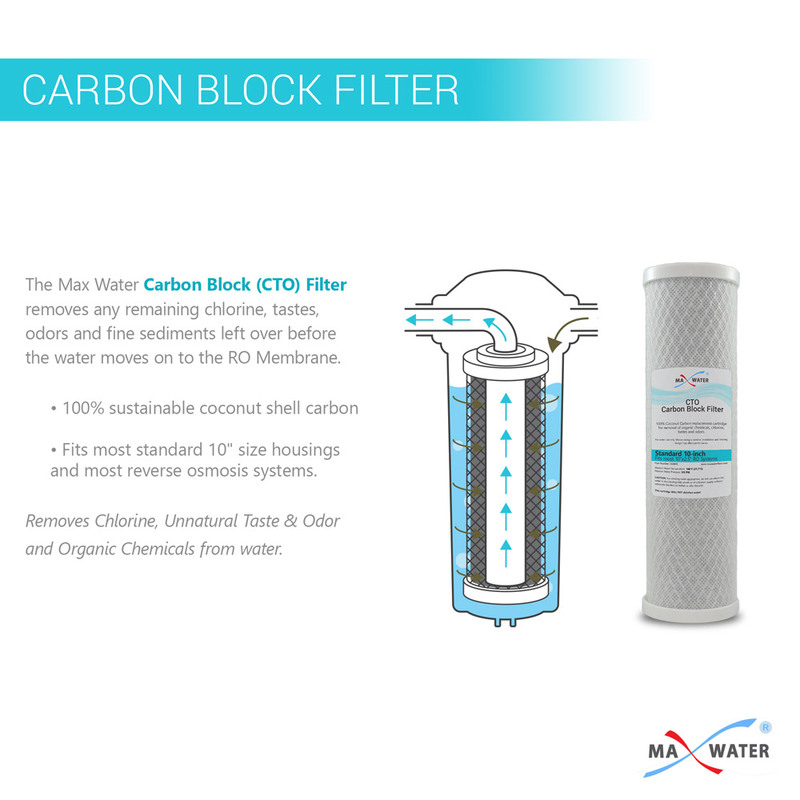 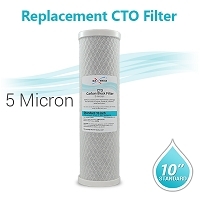 1 Micron filter membrane included to prevent carbon fines to pass from the filter to your drinking water. 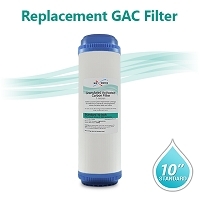 Size 9 7/8" x 2.5" Fits most standard 10" size housings and most reverse osmosis systems. 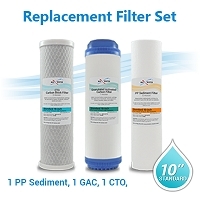 22 OZ of DI resin is enough to refill 3 times inline refillable MAX WATER larger sized filter housing 2x11". 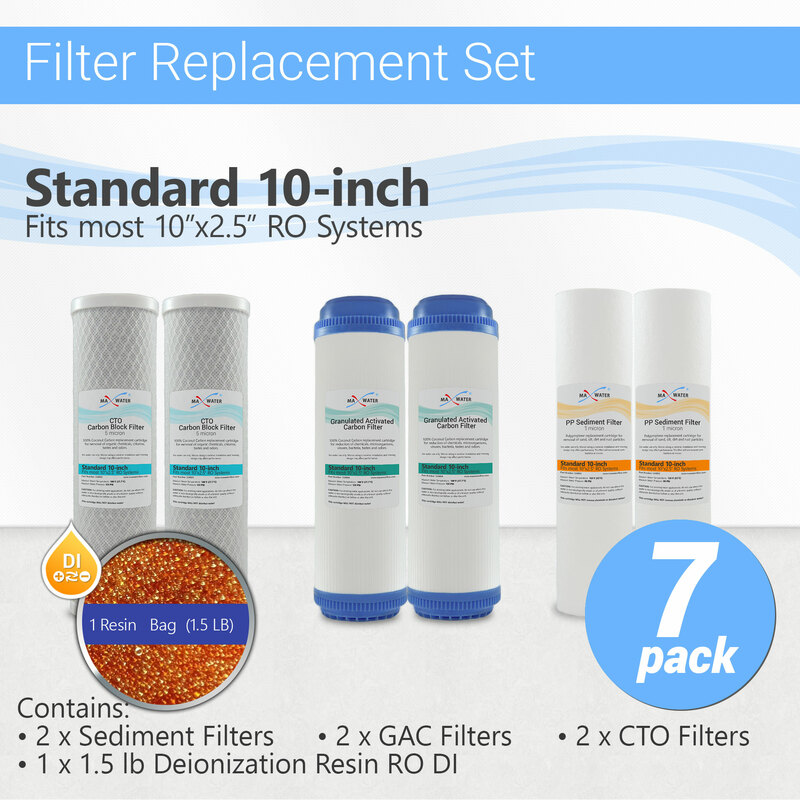 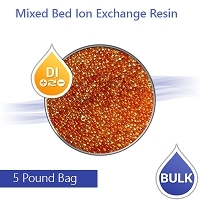 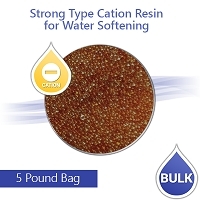 22 OZ of DI resin is enough to process approximately 1600 to 2000 gallons of DI water from any Reverse Osmosis Water Quality. 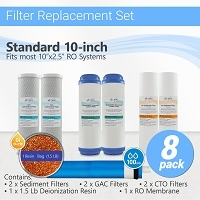 Total 7 filters, each individually wrapped.